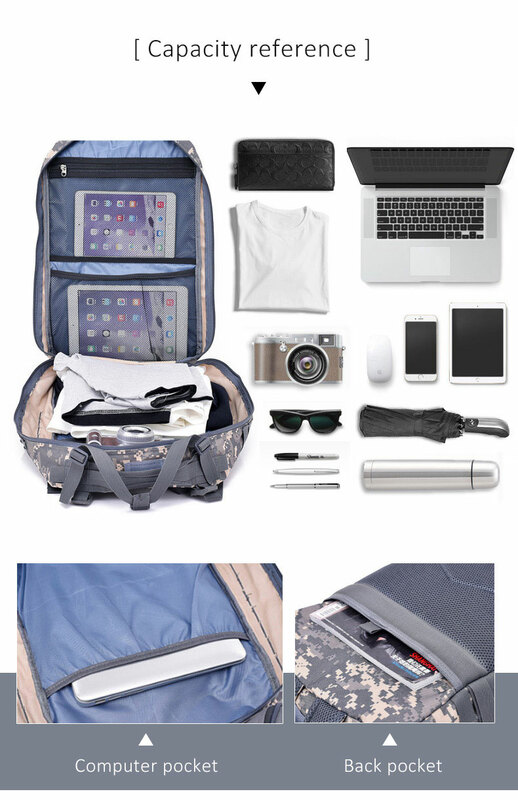 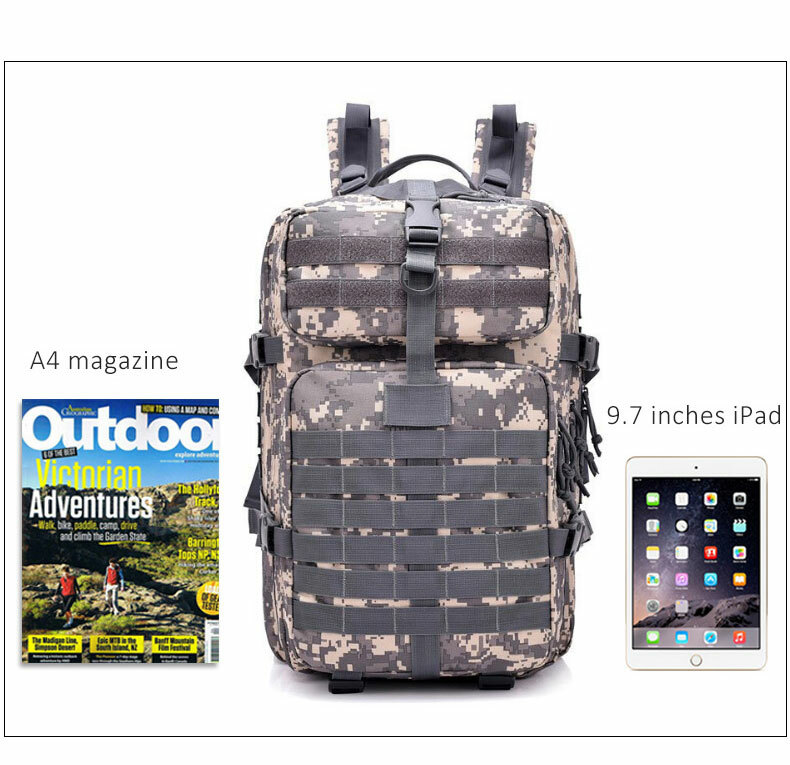 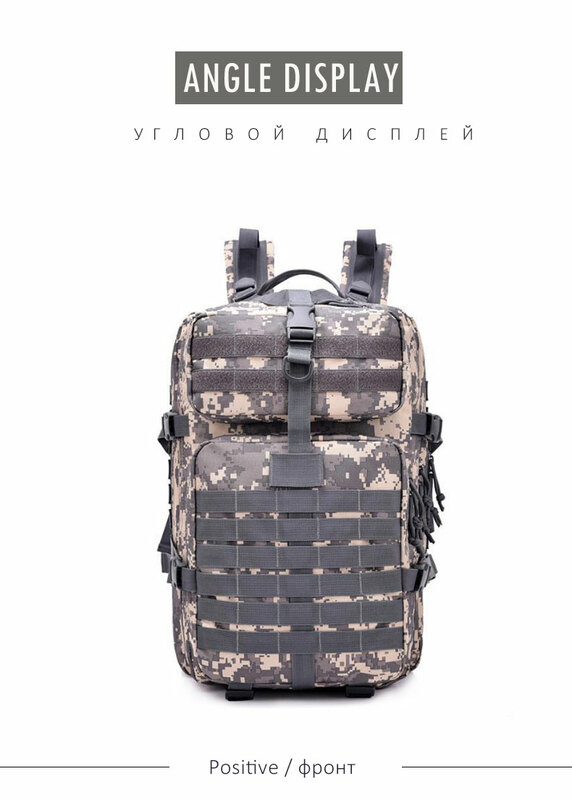 Military backpack has molle system, MOLLE is a little different as most tactical molle bacpkacks and is not to spec. 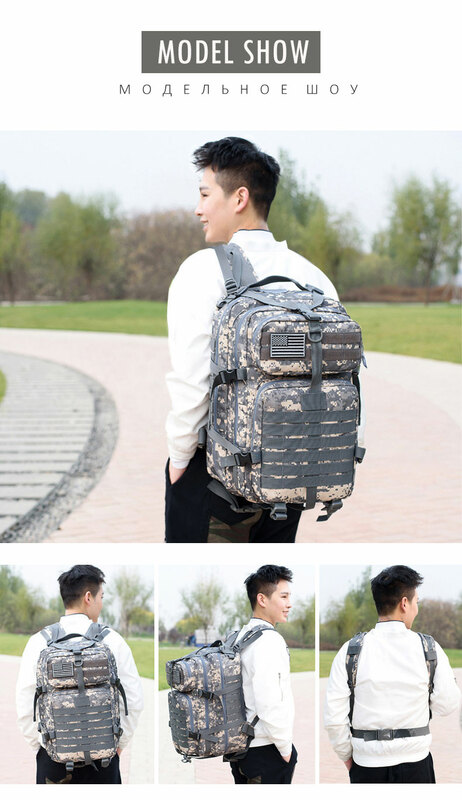 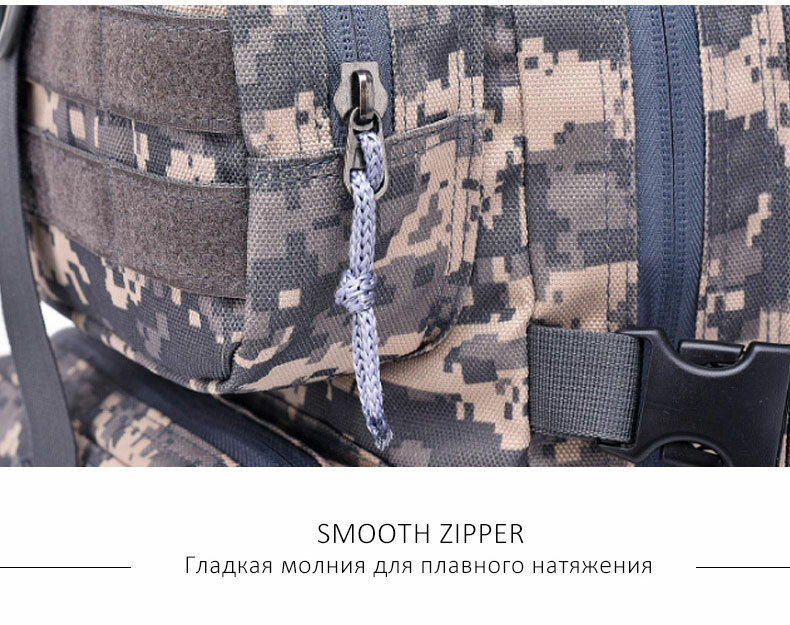 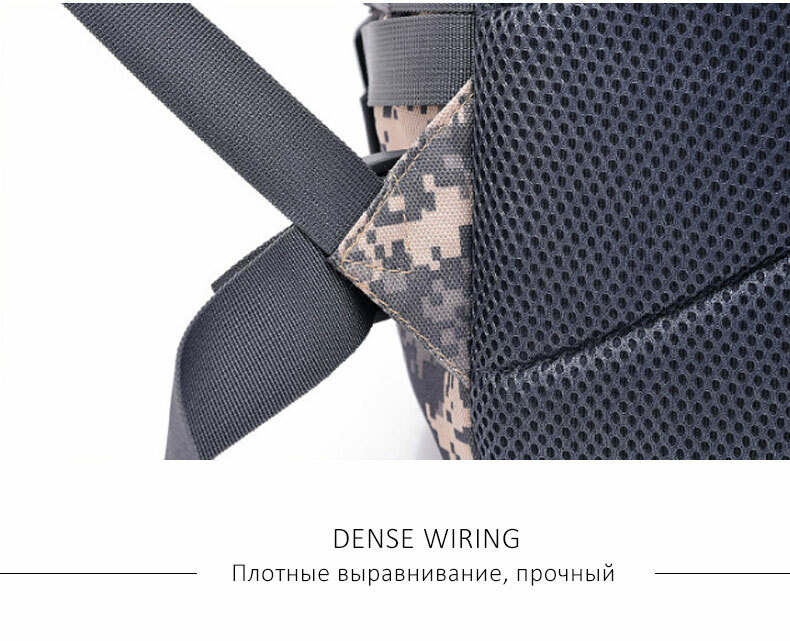 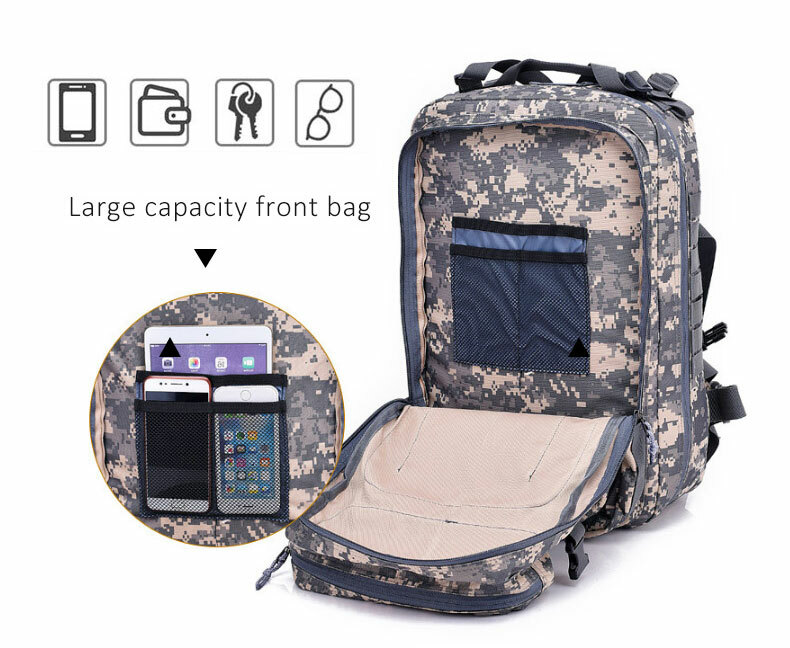 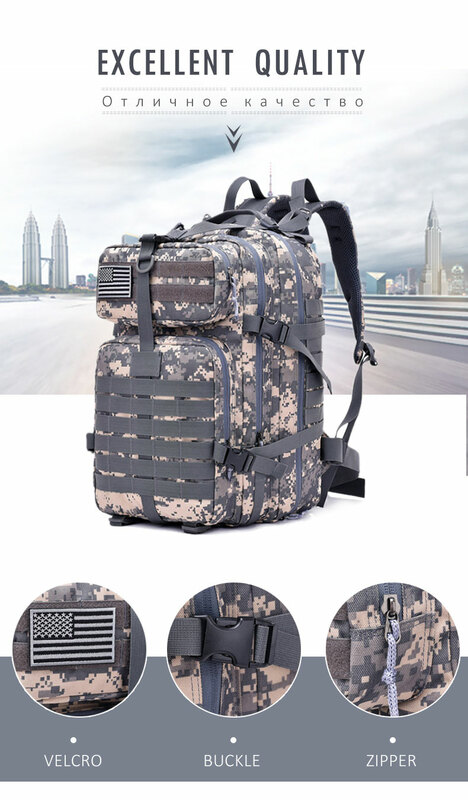 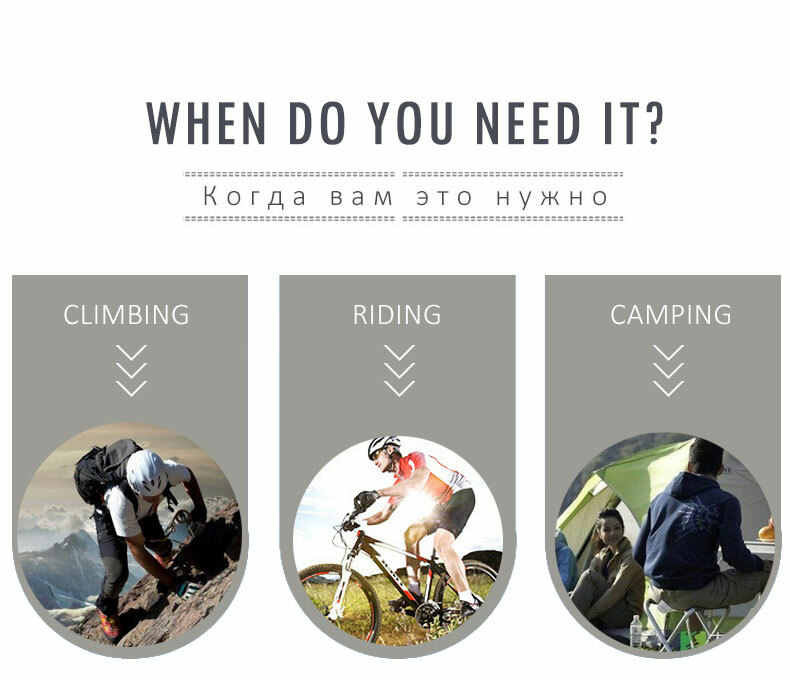 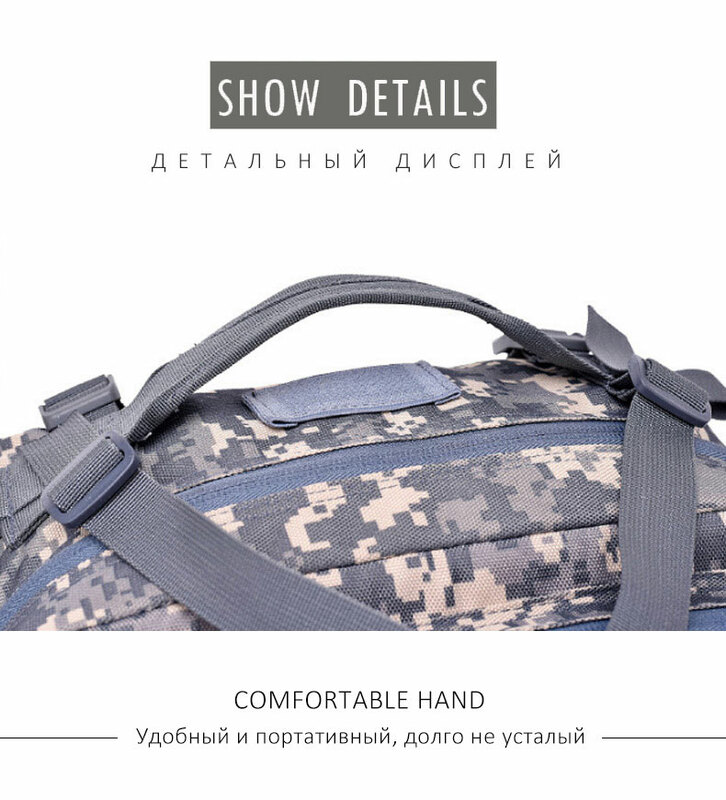 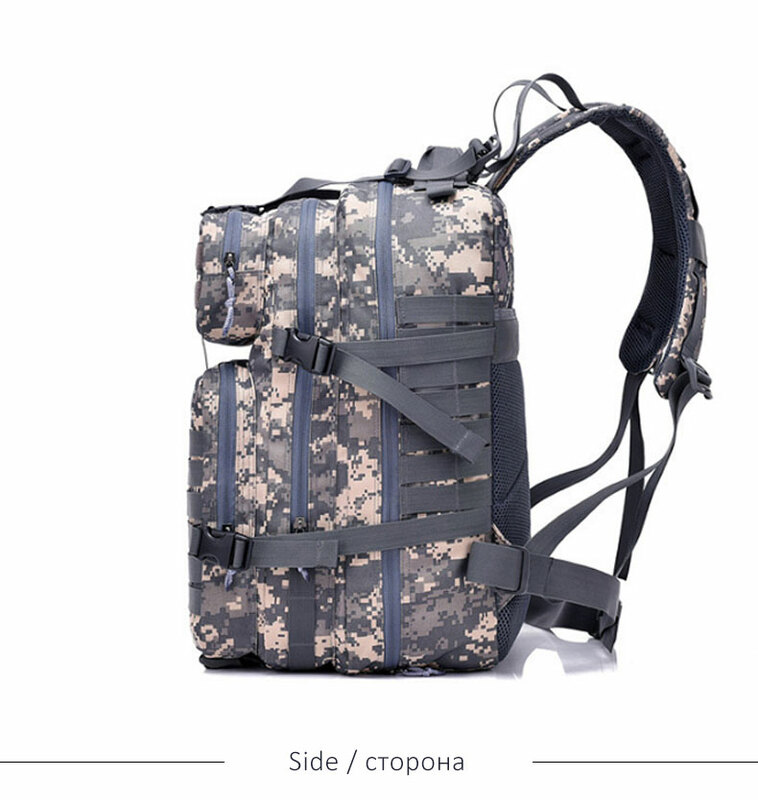 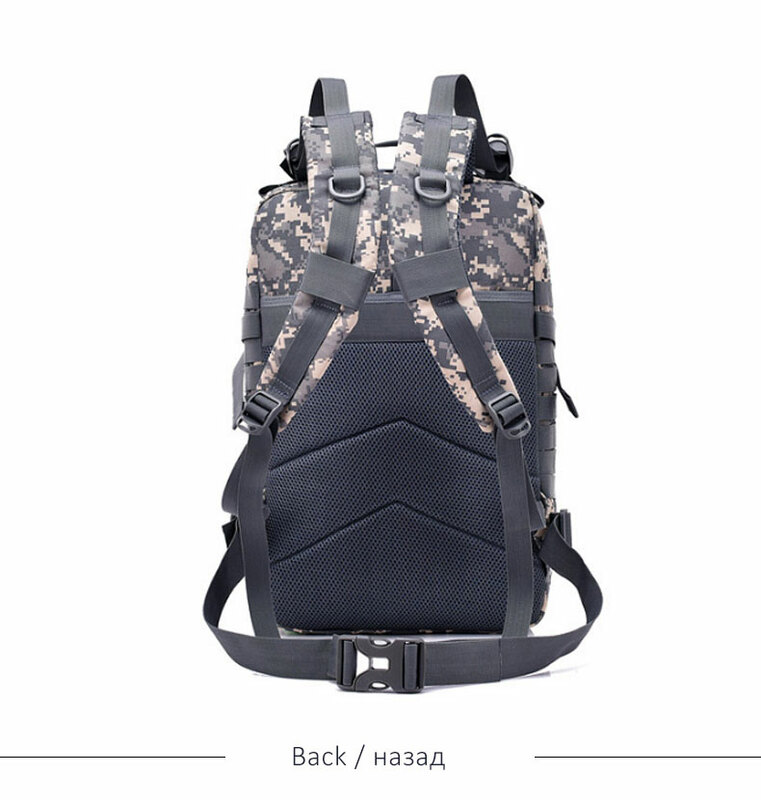 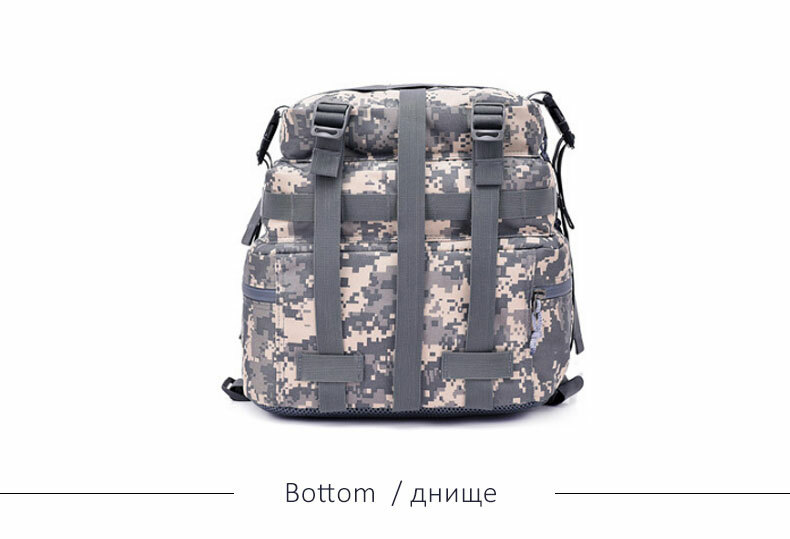 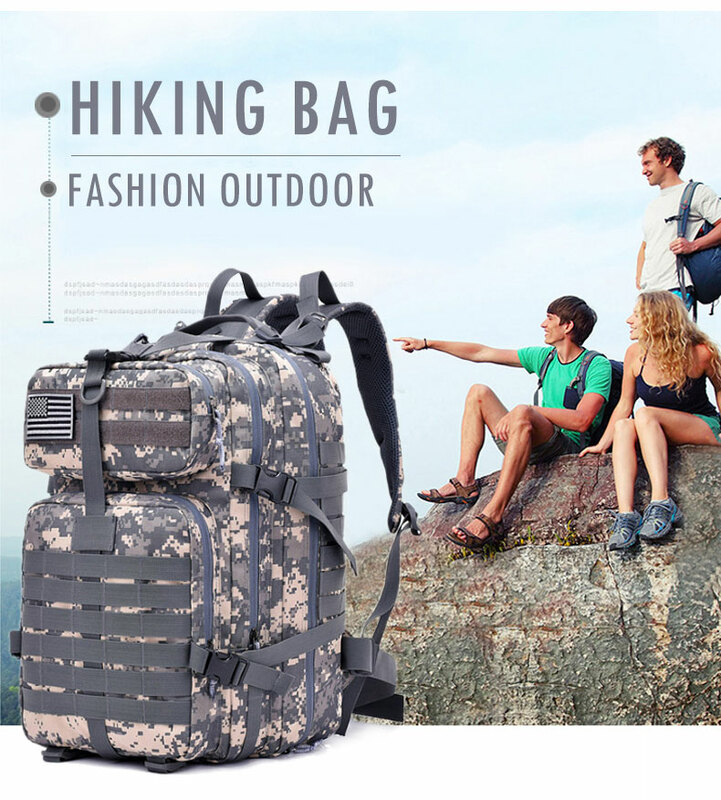 Spacing between of molle is less than 1/2"
45 Liter Military backpack with double-stitched, Heavy duty zippers and utility-style cord pulls, Side and front load compression system, Comfortable padding back area, Ventilated mesh padding shoulder strap. 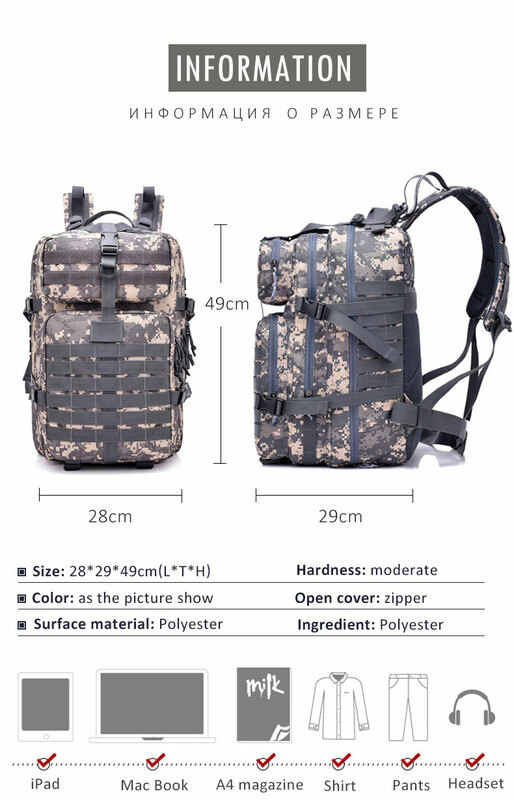 Tactical assault backpack has hydration compatible that works great for a 2.5L hydration bladder (backpack didn't include hydration bladder) as hydration backpack or outdoor camping hiking backpack. 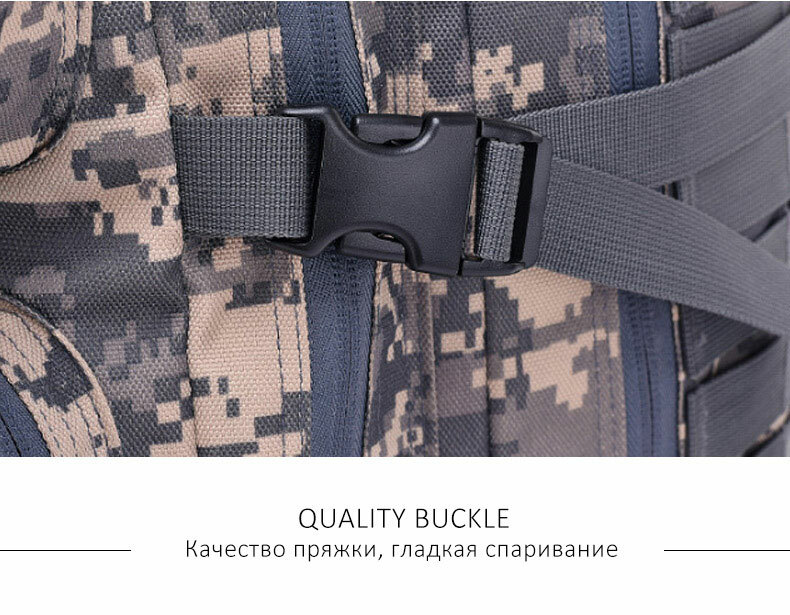 Tactical assault pack's waist straps and chest straps are removable as heavy duty work or school backpack, please check straps before you use it in order to avoid straps fell off and lost.